Make these Buffalo Check Christmas ornaments in five easy steps. 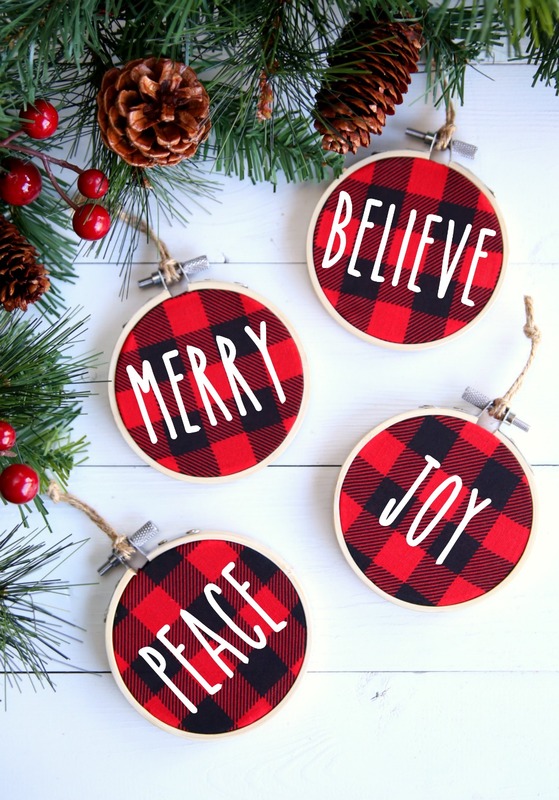 You just need a few simple supplies and about 10 minutes of your time to whip up these fabulous Christmas ornaments. I’m a little late to the buffalo check party but I figured – better late than never. This year I’m ready to decorate the whole house in buffalo check for the holidays. I love how warm and cozy it feels. I already have a buffalo check blanket, pillows and the cutest basket. I also like that I can keep a lot of the buffalo check stuff out past the holidays making it perfect for winter too. 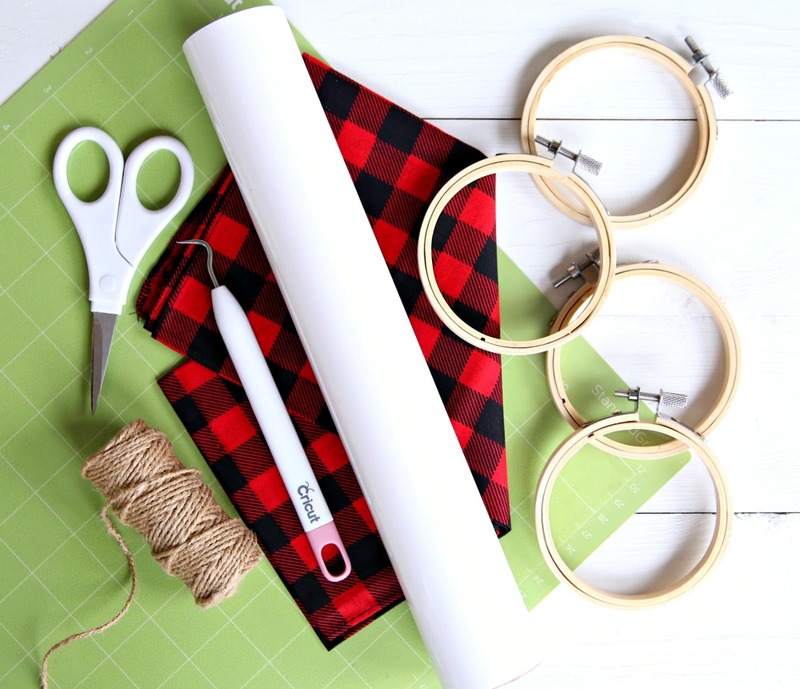 Step 1: Cut fabric so it’s about 2 inches larger than each embroidery hoop. 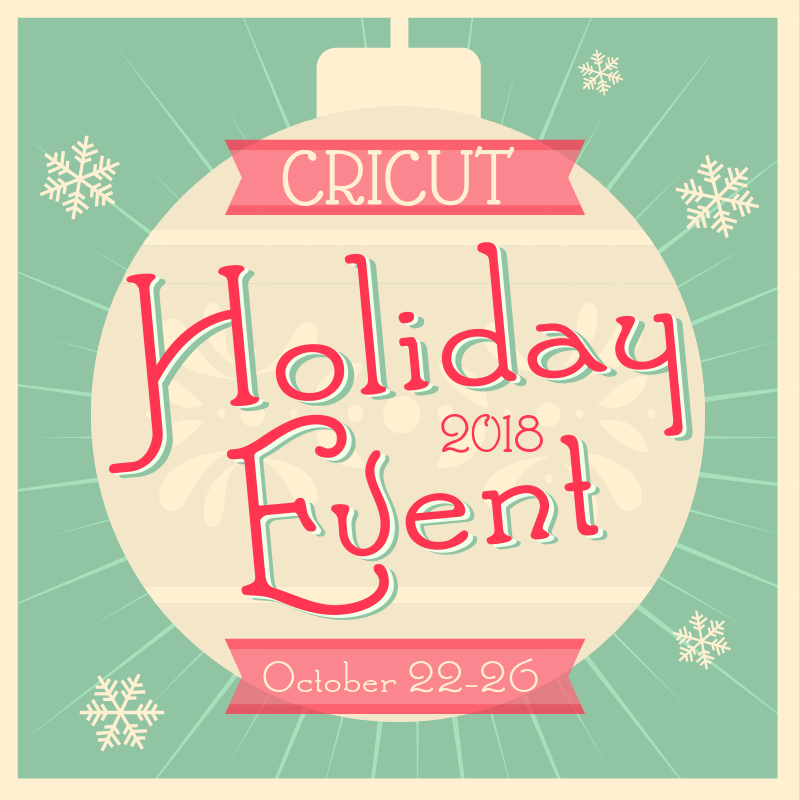 Step 2: Let your handy dandy Cricut cut the words or image that you want to put on each ornament. I used the font The Skinny for my words. Make sure you mirror the image. Step 3: Adhere vinyl using the Cricut Heat Press (or your iron) to the center of each piece of fabric. It doesn’t have to be perfectly centered. Step 4: Place fabric inside each embroidery hoop so the words are centered. Step 5: Add jute so you can hang each ornament. 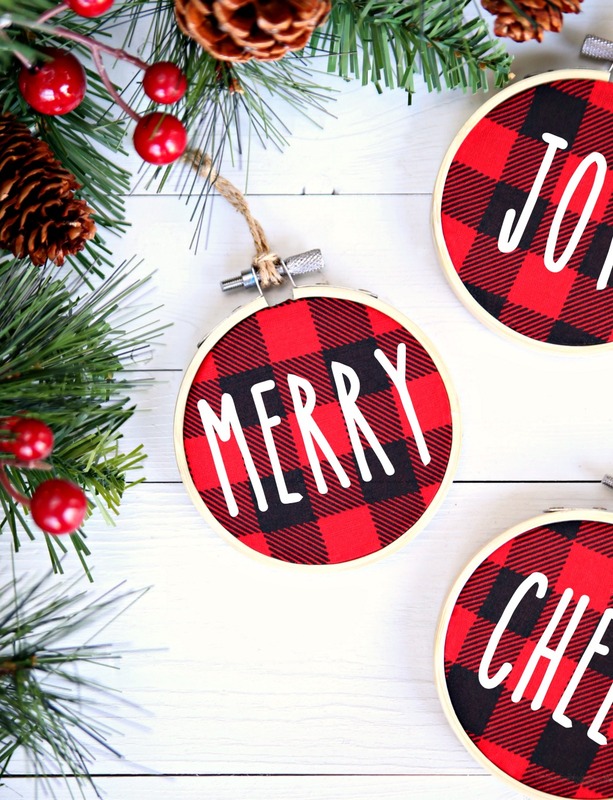 So many fun ways to personalize these fun Buffalo Check ornaments. I’m warning you now – be prepared to see a lot more buffalo check projects in the next few months. This post contains affiliate links to the products mentioned. 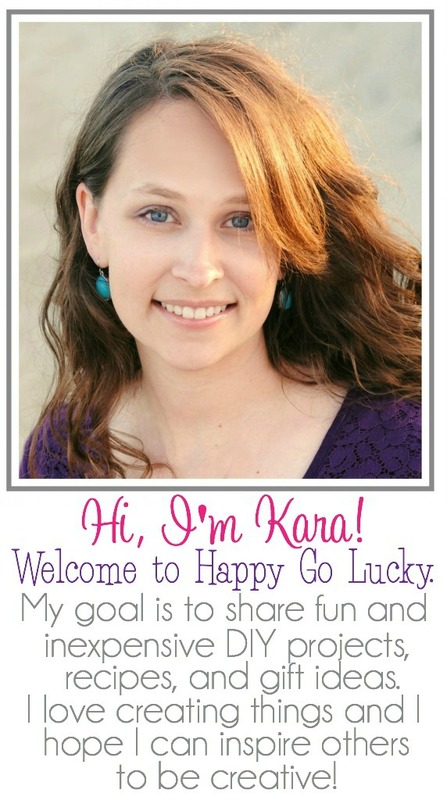 Happy Go Lucky is a participant in the Amazon Services LLC Associates Program, an affiliate advertising program designed to provide a means for sites to earn advertising fees by advertising and linking to amazon.com. These are so simple and beautiful! Can’t wait for Christmas but I can use the same idea to make some. 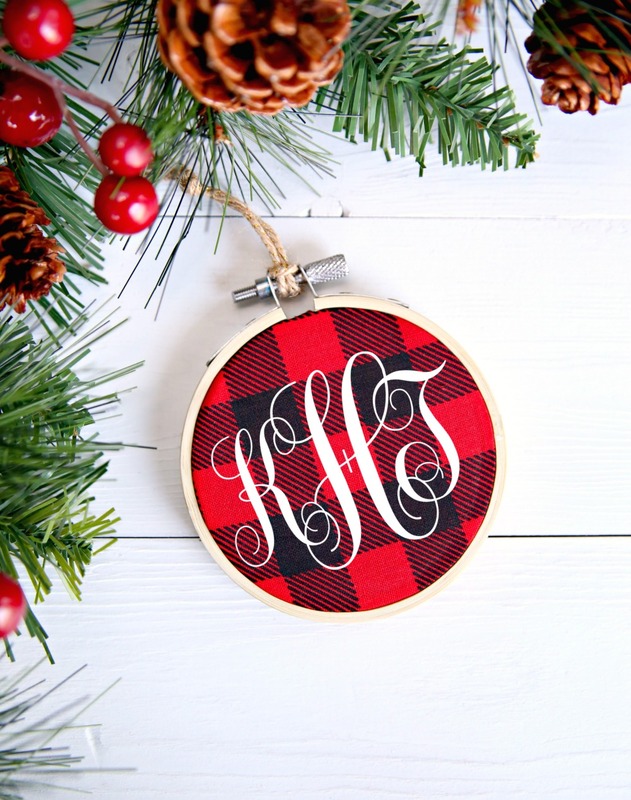 The hoop ornaments are looking super cute!